Marketing doesn't need to be scary. It can actually be inspiring, empowering and FUN! When you market your business effectively, you give people a much clearer understanding of who you are and how you can help them. Discover easy, affordable ways to communicate your unique message to your ideal clients, using the four organizing steps described in this course. Great introduction to the complex field of marketing! Wow I have a better understanding of what I have been doing wrong. I just hope I can get out of a contract that is going no where. Thank you very much for giving me new ideas and help in expanding my business. I really enjoyed reading this material all the way through. It was so very easy to read and understand. I will even have those that do not know anything read this so they can understand what is going on. Again thank you very much. This course was excellent, I learned a lot from it that I will definitely put into practice. I have been through many marketing courses & have used several marketing coaches and I have learned so much about marketing. Especially about recommended images and colors. Excellent! Excellent material for practitioners who want to understand effective marketing. The material was clear and easy to understand. I will definitely put into action what I have learned. Course was fun and renewed my passion for my work. I have always been intrigued about the proper and most effective tools in marketing a small business. Not only did this course provide me with the basic points, but also made the information intriguing and appropriate. I am energized to utilize this information for myself! Lots of valuable information that I would only learn through a course such as this. Also, I love that you can get the certificate immediately. Gave good information regarding business cards(etc) and inactive clients as well as self marketing that will be very helpful in the business. I loved this course. It really spoke to me and I feel that it gave me some amazing things to think about for the future. This was the best marketing training I've had. I went through the course step by step and designed a new marketing strategy for my waning massage practice. I have a lot of great ideas and I am working on my new logo. I feel re-energized in my practice. This is an excellent online course. Loved the subject matter and the heartfelt approach so different from the caveat emptor usually promoted. I will use this as a reference. Great material. Very helpful. There was a plentiful amount of marketing material that will be presented and utilized within my business. Now, thankfully, I have been stirred into a better direction and understanding of where I would like my business to go and where it needs to go in order to succeed. Nice course. I gained some new insights for marketing my practice! Thank you. I loved the online format. I have taken in depth courses on marketing, Lisa Sasavich- Speak to sell. This had a great vibe, positive, abundant, almost spiritual and I loved it. I liked the map of the page of an offer, very helpful. This course help me gain a greater understanding how involved marketing is to survive as a business. I absolutely loved this course. It was very informative about the little things one would not necessarily think about. I would recommend this course to other massage therapists and add some of the ideas to my lesson plan on Business/Marketing for my massage students. Thank you for this course. Excellent, makes an overwhelming prospect (marketing a new business) seem easy. Very helpful! Very concise information. This gave me a couple of key building blocks I have been missing for a long time. VERY worthwhile course. The small cost of the course is NOTHING compared to the $ that this will make and save new therapists. Highly recommended. Presented in an very clear and concise format. Really broke the information down into simple and useful terms. Really helpful for a small business person to market like a pro. I really enjoyed the course. It was informative and practical. Great information on generating more ways to reach potential clients or update knowledge in this area. Very good course! Gave me great insight in how to promote my business and the best way to layout my business cards. This course was very informative. I am looking forward to practing some of the methods listed in the course. Thank you. Fun and educational course! Good tools to use! Very helpful. This course gave concrete ways to understand, develop and implement a marketing plan. I will use the information to revitalize my practice! Being reminded that marketing can be viewed as a "loving service" made a big difference in my view of "marketing". It has taken the sting out of what has been a challenging topic for me! I will use all of this in my business marketing. 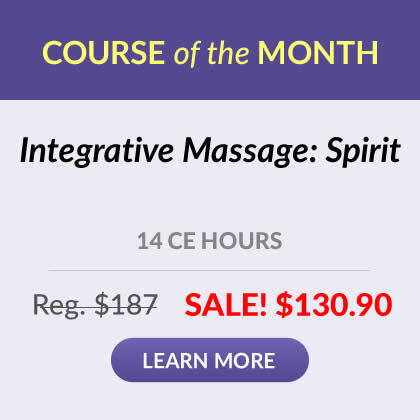 Every piece of this course is useful for massage therapists. Thank you for spelling out how it's done! This course was great, one of the best I have taken online. I can't wait to implement these ideas in my practice! Thank you so very much. I hadn't really been thinking in terms of effective marketing strategies -- since I apparently didn't know what I needed to make the best choices about this subject. I have learned and understood (through this course) some of the things my marketing advisor had mentioned to me - that I really didn't pay attention to or think enough about to have it make sense. Your course has started a new avenue of thought exploration, as well as providing steps I can take to make a difference. I realized I needed to and still need to study and act on this information to not only improve my business but rebuild using these marketing tools and rules that I didn't do so well using my first time around. I'm very grateful! Thank you! Excellent course! I can actually USE most of the ideas and tips shared in this course ~ thank you! I loved the course, it was easy to understand and I loved that I could take my time completing it. Excellent information in this course. I have read many marketing books, both massage specific and not, and this presented information and tools I have never seen before. I feel like I got a lot out of this and can't wait to try out some of the new ideas presented. Love this course... much was learned by a marketing guru and now even better than before.. Love it !!! I'm excited to put this information to practice in my business. I've been doing massage for 18 years.. wish I had this course when I first started out! Maybe it would not be applicable to some courses, but I am a visual learner, the chart for how to layout a proper advertisement was very helpful. It makes me go back and forth and apply the information onto the chart so I become more interactive instead of Just reading! Very good information. I work alone, self employed, and I can use the info given on this course on my business. In general, so far, I recommend every single course I took from "Institute for Integrative Healthcare Studies" Will recommend to anyone. Great guidelines for marketing my practice. Great overview with valuable details. I graduated with a business degree before going into massage therapy. I really enjoyed this class and appreciate that it was written with the massage therapist's needs and examples in mind. Really helped open up the ideas behind marketing for me. Very thorough information, intellectually stimulating, examples helpful, will implement in my practice. Found the course very informative. Would recommend this course to someone just entering the profession and thinking of beginning their own business. I enjoyed the course and found it very beneficial to my practice. This material is very informative and interesting. This is good for people who have marketing knowledge and those who do not. I felt the course was very relevant to addressing my marketing needs. I will be using a lot of the course materials to improve my marketing skills and hopefully bring more clients and also so remember to contact my former clients. 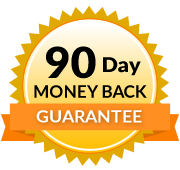 This is very important and I can clearly see that doing that activity can produce more clients in my business. Great course. Cannot wait to use it in the future. The course is very detailed, but constructed in a very helpful way. I will be implementing many of the suggestions in my upcoming marketing for my business. This course exceeded my expectations and ignited my fire to grow my business and become all that I want for myself and others! Yay!!! So excited to get started!!! I have been in business for over 25 years, therefore most of the information was not new to me. But I did keep an open mind and could see how it would benefit a beginning massage therapist! I am always pleased with the course materials offered by the Institute for Integrative Healthcare Studies. The courses are easy to understand and filled with valuable information. The staff is very knowledgeable and helpful. There are great tips in the workbook that I can use right away and ones I can plan to use in the future! I plan to refer to this packet again. This course was very informative and easy to understand. Very user friendly. Appreciated that the tone and materials were accessible, engaging and positive. Great course! The information I gained from this course will be useful in the future of my business. The information in the "Effective Ad Design" and the "Most Important Questions to Answer before Spending Money on Marketing" was an eye opener for me. The course materials will be my reference guide for all future marketing plans. This course was totally beyond my expectation. I recommend to anyone...I already used some of the information in my business even before I was finished with the program. Excellent!!! can't wait to make my new business cards and to begin a new marketing strategy. Thanks! The best marketing is feeling-based marketing, followed by rational proof. The rational proof is the facts and statistics about your service (and products, if you sell them). You need to always have enough rational proof that your customer can feel your credibility, and then confidently take a leap of faith and buy your service. Whenever you’re about to write any type of marketing content, such as a sales letter, an email message, a postcard, brochure or newsletter, feel it with your heart first. Your heart will guide you to reach your customers with integrity and emotional intelligence. The best marketing is __________________, followed by _____________.